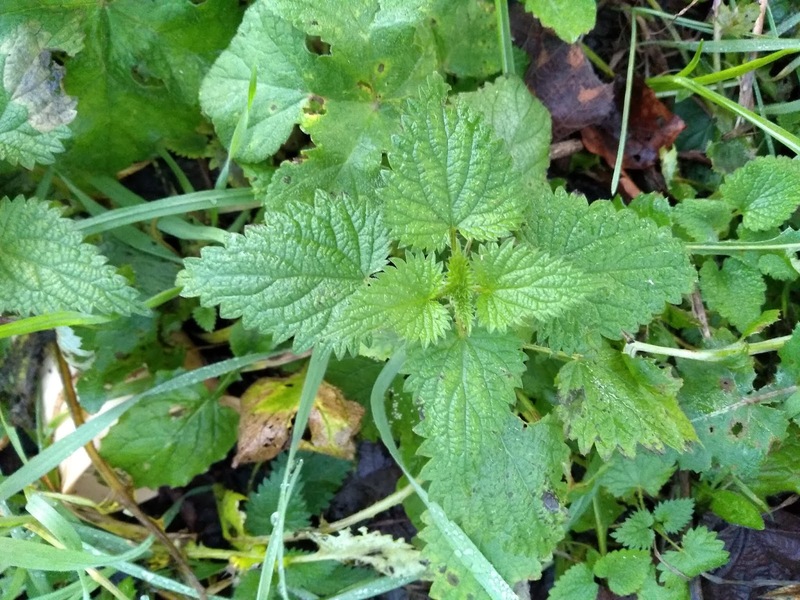 Photos from 1st January in Warminster, Wiltshire. Above, the mute, tight-lipped appearance of White Dead-nettle (Lamium album; Sw: Vitplister; Sp: Ortiga blanca). Below, Common or Stinging Nettle (Urtica dioica; Sw: Brännässla; Sp: Ortiga mayor/Ortiga verde), with a noticeably more open appearance, mainly due to the longer leaf-stalks. As you may have gathered, I've been taking a closer interest in winter greenery. 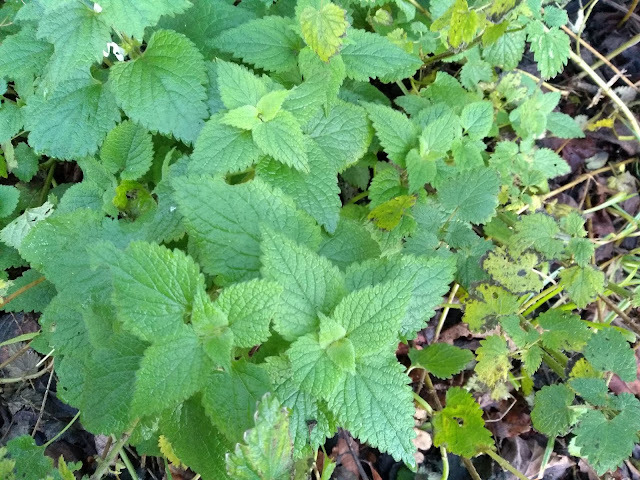 Here's a plant I see everywhere (so it must be very common), but haven't yet managed to link to its summer appearance. The squared-off ends are very distinctive. 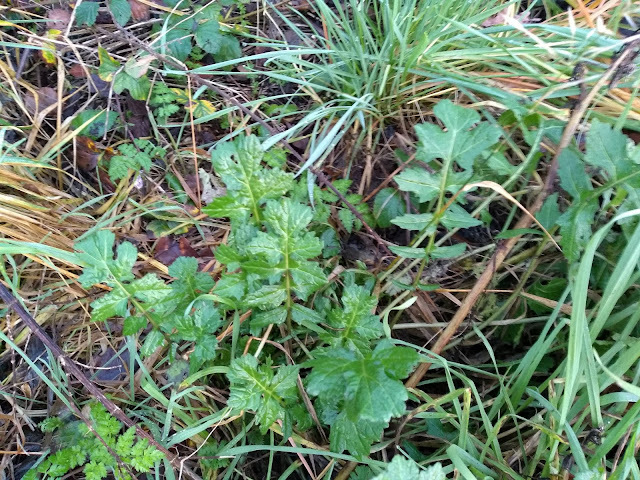 No mysteries with this one... Cow-parsley starting to get busy. (Anthriscus sylvestris; Sw: Hundkäx/Hundloka; Sp: Perifollo verde). Distinctive for the fresh yellow-green colour, and the feathery appearance of those crisped leaflets. 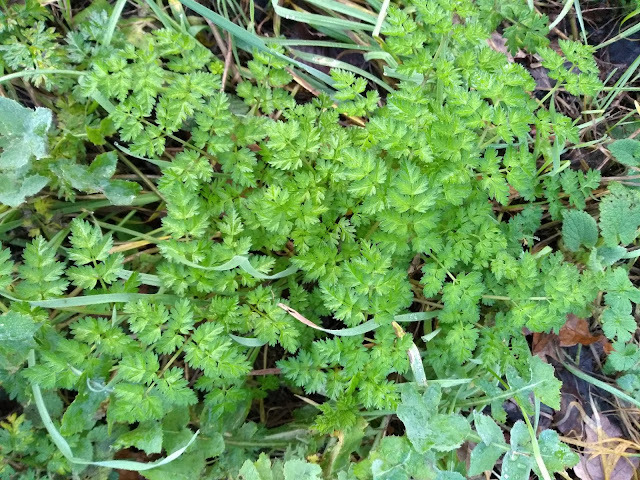 Here's a local plant that looks rather similar: Corky-fruited Water-dropwort (Oenanthe pimpinelloides; Not found in Sw; Sp: Enante de hoja de apio, i.e. 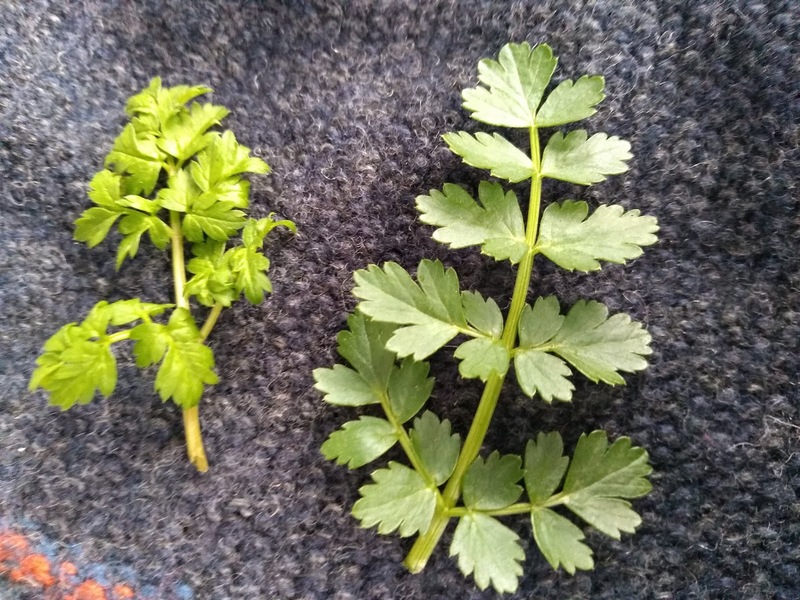 celery-leaved Oenanthe). 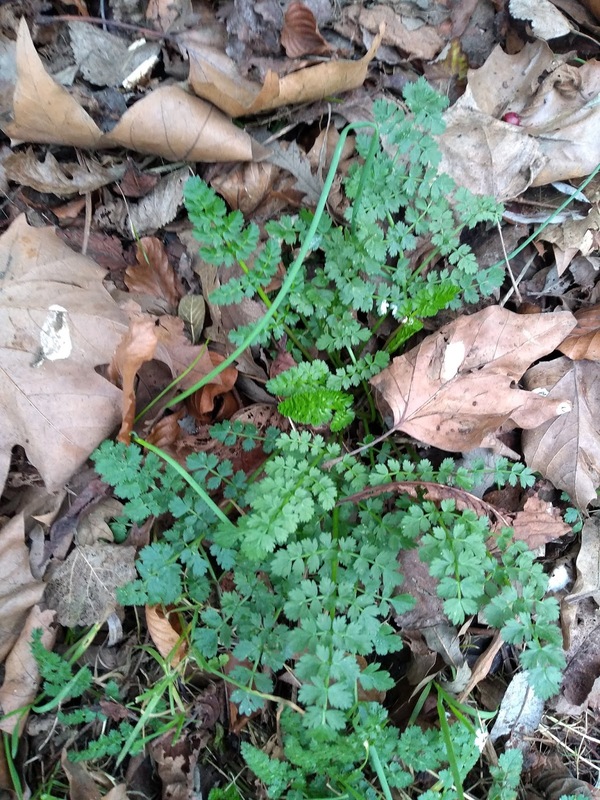 It's a local plant in the UK, but it happens to be common in Frome. Oenanthe pimpinelloides. Frome, Somerset, 12th January 2019. You can distinguish it by the more bluish colour and by the leaflets being flatter, hence looking less feathery. Anthriscus sylvestris (left) and Oenanthe pimpinelloides (right).